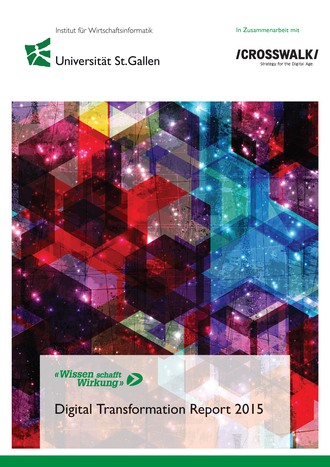 A project that kept me busy for the last 6 months has been successfully delivered: The “Digital Transformation Report 2015” is now available for download. It has been an exciting journey with an interesting outcome. From November 2014 to February 2015 we conducted an online-survey and asked employees to rate the digital capabilities of their companies. We developed a scale to benachmark the “digital maturity” of companies, allowing them to compare their capabilities and activities with others. We collected data from 196 participants of 162 companies. 83% work in Switzerland. The results show how “digitally mature” companies in Switzerland are, how different industries compare and what possible action areas are. What is the value of digital innovation? How can you measure this value? When should you go for a more disruptive or a more conservative strategy? How can you identify new digital technologies that are most relevant to your business? How can you decide when to abandon an innovation? These will be the guiding questions for my further research work and my thesis.